Exciting news! 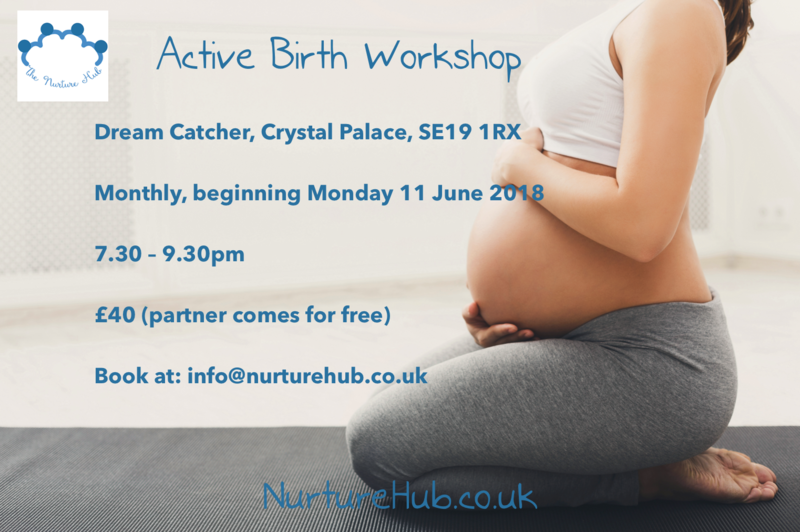 From Monday 11 June, we will be holding our Active Birth Workshop every Monday of the month at the fabulous Dream Catcher on Westow Hill in Crystal Palace. Nurture Hub’s Active Birth workshop incorporates antenatal education with the principles and practises of hypnobirthing and yoga. The workshop costs £40 per person or couple, meaning you can bring along your partner for free!